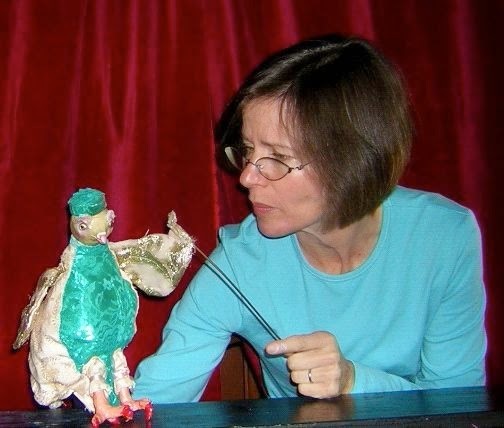 Join Margaret Moody for two funny puppet shows this Saturday at 2pm at Arlington Center for the Arts. 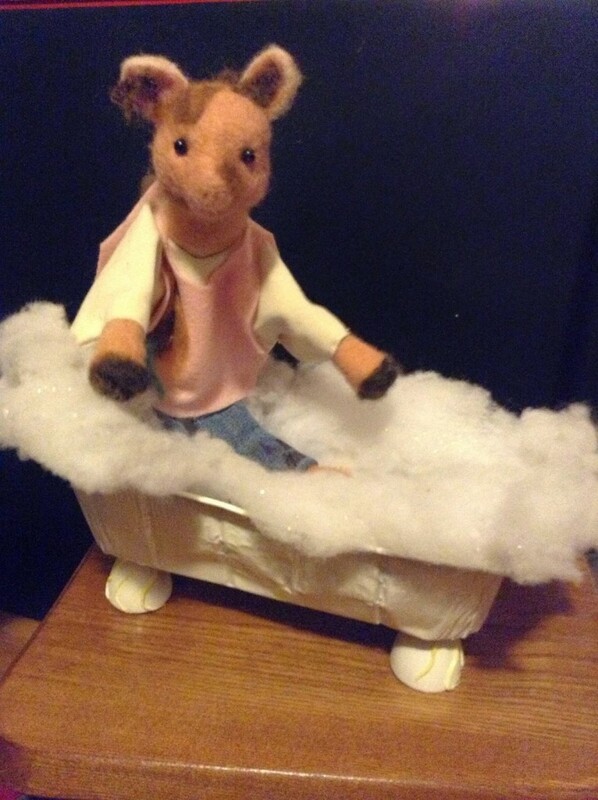 In “Mathilda’s Bath,” adapted from a Mrs. Piggle Wiggle story, Mathilda loves mud baths — but not the soapy kind. And in “Cow and Mouse’s Picnic” two friends share everything except dessert. Come for the show, stay for coffee and puppet-play. Tickets are $7; 3 for $20. Please pay by cash or check at the door. Best for ages 3 and up. Spring is almost here. Cow and Mouse are frolicking at a picnic — but do they have to share their cookies? In in the second story, Mathilda wallows in the mud. Can Mom coax her into the tub? 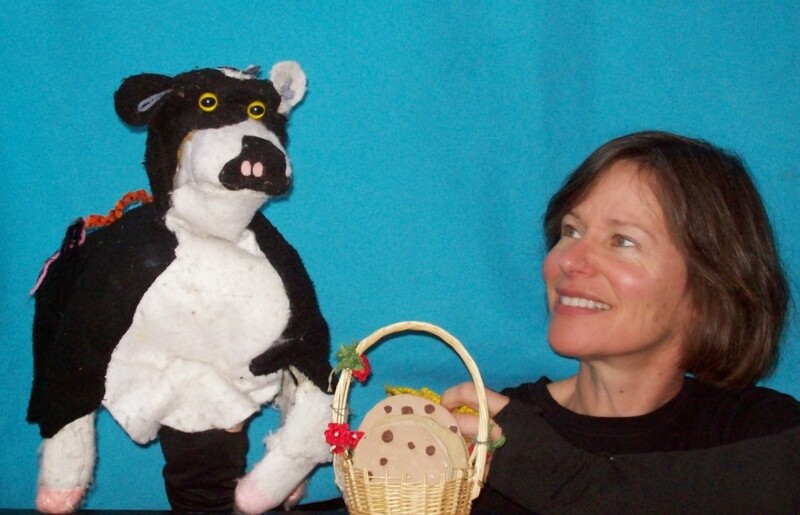 Join Margaret Moody for two funny fables for ages 3 and up. We hope you’ll stay around for puppet-play and coffee after the show. Mr. Badger is thrilled to meet Blossom, a flower fairy, in the garden. He flies away with her to help the fairies build a playground. But then it’s complicated: the fairies won’t use cement; and Mr. Badger wants to learn to fly. Join Margaret Moody for a gentle tale based on European fairy lore. Best for ages four and up. “Badger Meets the Fairies” features puppets and sets built by Sandra Pastrana and Margaret Moody and a music score created by Alison Plante of Berklee College of Music. 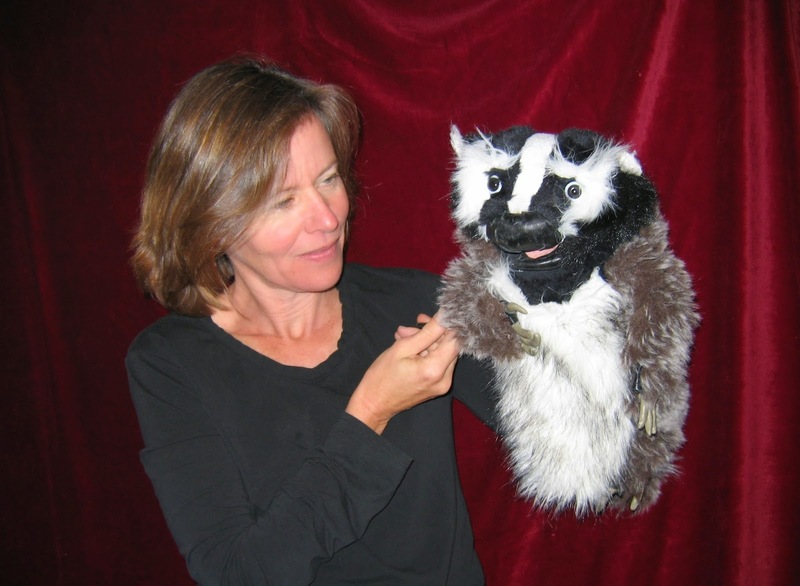 Please stay after the show for puppet-play — and coffee for grown-up friends. NOTE: there will be ONE SHOW on December 6th, at 2pm.